Badge earners understand the API Economy and have mastered the skills to lead API Connect implementation projects. In addition to being subject matter experts on API Connect, they have deep knowledge of our polyglot runtime framework, containerized deployment model, cognitive integration support, devops story, analytics capability and monetization features. They can also run a design thinking workshop around API Connect and build a Microservices reference architecture for their customers. Complete the 5-day API Connect Expert Workshop. 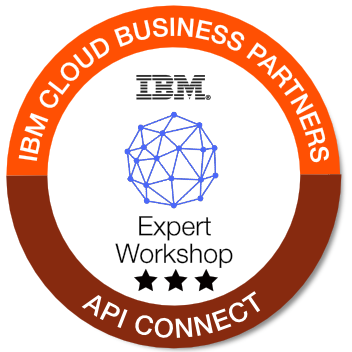 To request the workshop registration & agenda, send a request to CloudBP@us.ibm.com. This badge is only available to IBM Business Partner employees.